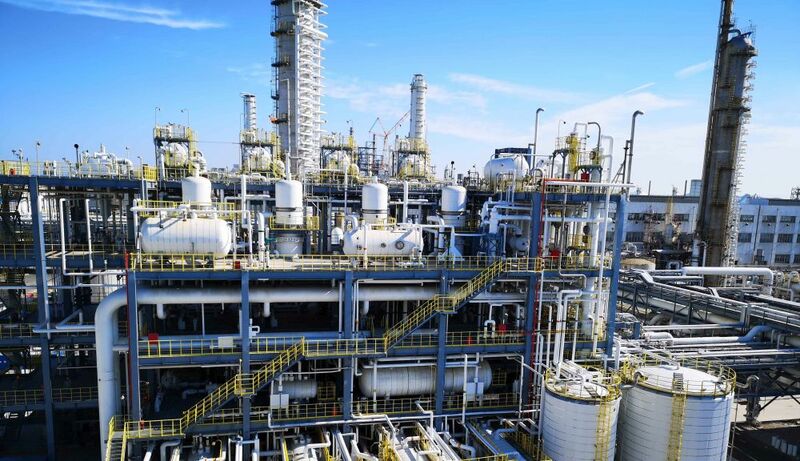 Yantai II MNB Plant for Wanhua – NORAM Engineering and Constructors Ltd.
NORAM is pleased to announce the successful start-up of the latest mononitrobenzene (MNB) plant commissioned at the Yantai integrated chemical complex in China. The towering Yantai II facility is the fourth in a series of world-scale plants, based on NORAM’s proprietary nitration technology, delivered to Wanhua Chemical Group Co, Ltd. The new Yantai II plant is a near copy of its successful sister facility at Yantai, with a nameplate capacity of over 530,000 metric tonnes per year (MTPY). The plant once again uses NORAM’s signature washing technology, tailoring the effluent quality to the client’s needs, and enabling the lowest possible cost of production. Yantai II brings Wanhua’s total installed MNB capacity to more than 1,500,000 MTPY, and secures Wanhua’s position as China’s number one producer of MDI, and among the top three producers globally.